EVERY STATE HAS A FOREST ACTION PLAN. Your state’s Forest Action Plan includes in-depth analysis of forest conditions and trends in your area. Click on the map below to learn how your state plans to conserve, protect, and enhance its forests and trees over the long run. COLLECTIVELY, FOREST ACTION PLANS MAKE UP ONE STRATEGIC PLAN FOR AMERICA’S FORESTS. With the 2008 Farm Bill, Congress tasked the states and territories with assessing the condition of trees and forests within their boundaries, regardless of ownership, and developing strategies to: conserve working forest landscapes, protect forests from harm, and enhance public benefits from trees and forests. The resulting state Forest Action Plans—completed in 2010 and reviewed in 2015 by all 59 states and territories—offer practical and comprehensive roadmaps for investing federal, state, local, and private resources where they can be most effective in achieving national conservation goals. State foresters strongly encourage Congress to support and reinforce Forest Action Plans with legislation and through annual appropriations. EACH REGION HAS A FOREST ACTION PLAN TOO. Forests of the West cover about 365 million acres—49% of the nation’s total forested area—and are managed by a diversity of owners. The issues facing western forests—wildfire, invasive species, changing ownership patterns and markets, fragmentation, and climate change—affect all lands and all people. The Western Forestry Leadership Coalition (WFLC), a state and federal partnership, commissioned an analysis of all western Forest Action Plans. The report (available here) contains detailed findings, trends, and opportunities relevant to western and pacific island forests and people. A summary report (available here) seeks to capitalize upon the priority issues, strategies, and landscapes identified. Sustain a viable, diverse forest products industry that supports private forest ownership and resource management and restoration on all lands. Working with Wildland Fire: The condition of our nation’s public and private forest lands is a significant contributor to risks associated with wildfire, particularly in the wildland-urban interface (WUI) where critical infrastructure and resources are at stake. While effective interagency efforts have taken place over the past decades, significant risks remain. Continued efforts to restore and maintain resilient landscapes, promote fire‐adapted communities, and effectively respond to wildfires are needed. Effectively prepare for, prevent, and respond to wildfire; safeguard communities; and control pests, diseases, and invasive species. 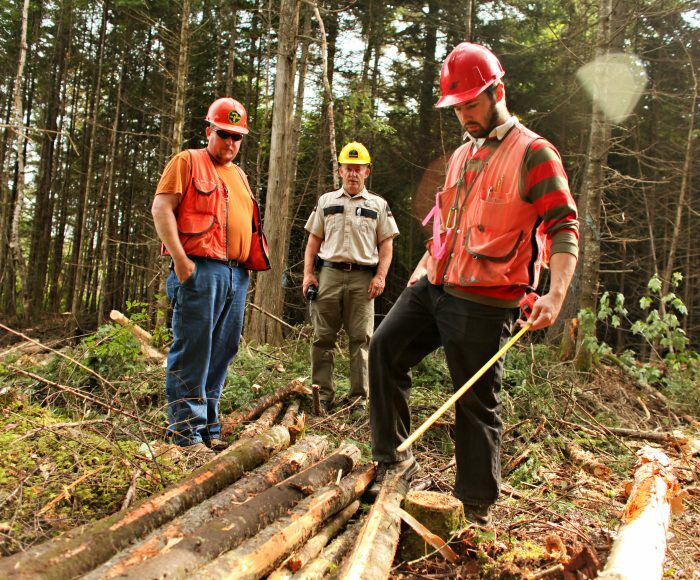 Improving Economic and Forest Health: Working forests produce social benefits and give landowners the ability to protect, conserve, and enhance resource values. Legal and regulatory barriers, lack of financial resources and industry infrastructure, and development pressures often get in the way of sustainable forest management. Opportunities that support active forest management and a diverse forest products industry are critical to western forests, communities, and economies. Manage trees and forests in rural and urban environments to sustain and restore our ecological systems, and help to mitigate climate change. Over 175 million acres of forest—close to 23 percent of forestland in the nation—are found in the heavily populated Northeastern and Midwestern regions of the United States. Increasingly complex issues, forest ownership patterns, and population distribution serve as the backdrop for forest management and conservation in the Northeast and Midwest. Northeastern and Midwestern states varied in their approaches to developing Forest Action Plans. With the goal of providing a region-wide perspective of these key issues and insight on how states identified goals and actions, the states and the USDA Forest Service developed a comprehensive analysis of the process to provide a regional context for Forest Action Plans (available here). Fragmentation, parcelization, and conversion to non-forest uses makes “keeping forests as forests” a critical priority for natural resources managers. Between 1982 and 1997, the Northeast and Midwest lost 3.7 million acres of forest land to development, and the trend continues. An assessment of development trends found that more than 12 million acres of privately owned forest land in the Northeast and Midwest could be converted to other uses by 2030, roughly the total area of forest land in Vermont and New Hampshire combined. As the forest is critical for clean water, wildlife habitat, recreation, and forest products, keeping forests as forests has implications well beyond conservation and protection of “open space.” As described by most states, the key components of this issue are the lack of financial incentives to keep private forest lands forested and the conversion of forest land to nonforest uses following the transfer of land from one generation to the next. Forest health and invasive species, wildfire, and climate change are critical threats across urban and rural forests in the Northeast and Midwest. Urban and community forests occur in nearly all communities within the Northeast and Midwest, from the most urban to the very rural. In the state forest action plans, there is emphasis on the benefits of trees and forests as green infrastructure that contributes to the quality of life in communities. In an integrated approach, most States seek to protect and maintain existing tree cover; implement best management practices; and engage local officials and the public in planning, sustaining, and improving forest resources in and around cities, suburbs, and towns. Forest Action Plans, in the Northeast emphasize water quality and quantity, biodiversity and wildlife habitat, recreation, and traditional forest products. Active, sustainable forest management of all forest land is essential to maintaining the flow of desired products and services that forests provide and for improving forest health and resilience to stressors. Most states have strategies focused on outreach and support to private forest land owners, including polices, programs, and initiatives that help landowners maintain working forests. State forestry agencies have also highlighted the challenges facing the forest products industry and traditional markets and outlined goals related to improving and diversifying markets for timber and non-timber forest products, woody biomass, ecosystem services, and renewable energy development. Forests account for a large portion of land in the South; in fact, two‐thirds or more of the land area in some southern states are forested. Southern forests are shaped by population growth, urbanization, changing landowner characteristics, and extreme weather and fire events. As part of their Forest Action Plans (summary document available here), states in the South identified priority issues or areas where they plan to focus forest management strategies and developed various approaches to soliciting stakeholder input to identify priority landscapes. Addressing urban forest management, enhancing opportunities for working forests and developing methods to restore forested ecosystems. It is a priority across the South to conserve working forests in order to maintain the economic, environmental, and social benefits these lands provide. Restoring particular forest types—like longleaf pine— that have been in decline or specific landscape types is essential to maintaining environmental services such as clean, abundant water and wildlife habitat. The vast majority of forest land in the South is under private ownership. States included significant discussion of the impact of changing forest resource markets on the ability or willingness of owners to continue to maintain their lands in forest. They also highlighted changing ownership patterns as a challenge to conserving working forests. Changing landowner values and shifting public perceptions may also present challenges to actively managing forests for both economic and environmental benefit. Identifying strategies for dealing with forest pests, wildland fire and extreme weather events. Population growth and urbanization present challenges to maintaining healthy, productive, and resilient forests, while at the same time increasing the demand for forest ecosystem services. Each state and territory in the southern region identified some aspect of urbanization or urban forest management as a priority issue or threat, mentioning the detrimental effects of forest loss and fragmentation and the unique challenges of managing forests in an increasingly urban environment. Supporting traditional forest markets while strengthening the value of clean air and water, wildlife habitat, places to recreate and ways to mitigate climate change. Fire is a critical component for maintaining many types of Southern forests, and people have used fire to manage forests in the South for thousands of years. Excluding fire from these ecosystems can result in increased fire risk and a loss of biodiversity. However, a number of factors make it increasingly difficult to continue to use fire for forest management. As urbanization progresses, people and structures mingle with traditionally forested areas, creating concerns about liability. With urbanization also comes increased air pollution, heightening the importance of smoke management and even preventing prescribed burning in some areas. Finally, public perceptions can spur greater political restrictions on the use of fire. In this way, a number of priority issues combine to make fire management increasingly difficult.